This all-time favorite hydrosol offers a floral, sweet scent with a honey overtone. 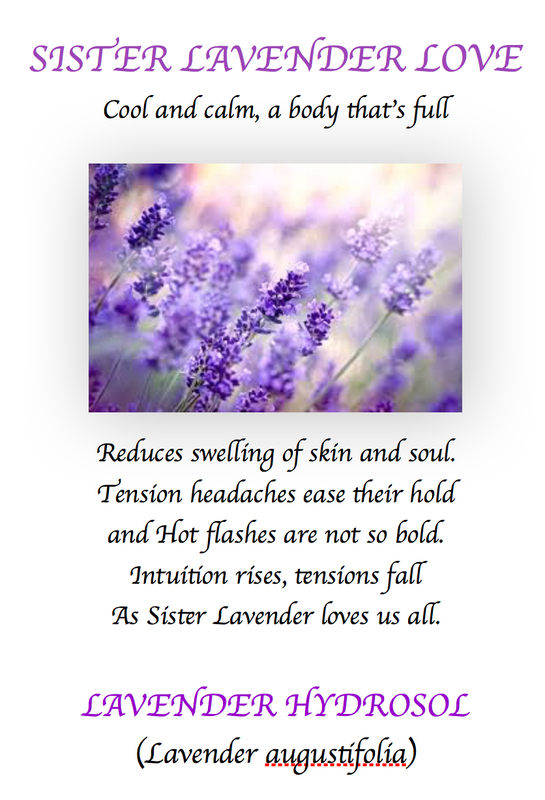 Lavender is known for its regenerative effects on damaged or fragile skin. Mist the face frequently in dry environments. Lavender is known to be universally calming and relaxing for the nerves and mind. Use it to cleanse scrapes and calm upset moods or temper tantrums. Add it to the bathwater or spray it on your child’s linens. As a room or office spray, it is refreshing and calming. Use in your cars for calm and peaceful travels. Spray lavender on a washcloth and place on the neck and forehead for tension headaches. Spray on your neck and chest to help alleviate hot flash symptoms. So soothing, Lavender refreshes facial tissues and brings a bounce back to tired skin.